Look at that lampshade go!!! I love your lampshade card and I love the wobbles. I'm going to have to try those! This is the most awesome card!! I LOVE it! OMG! I want to make one!! SO EXCITED TO WIN THE WOBBLES! 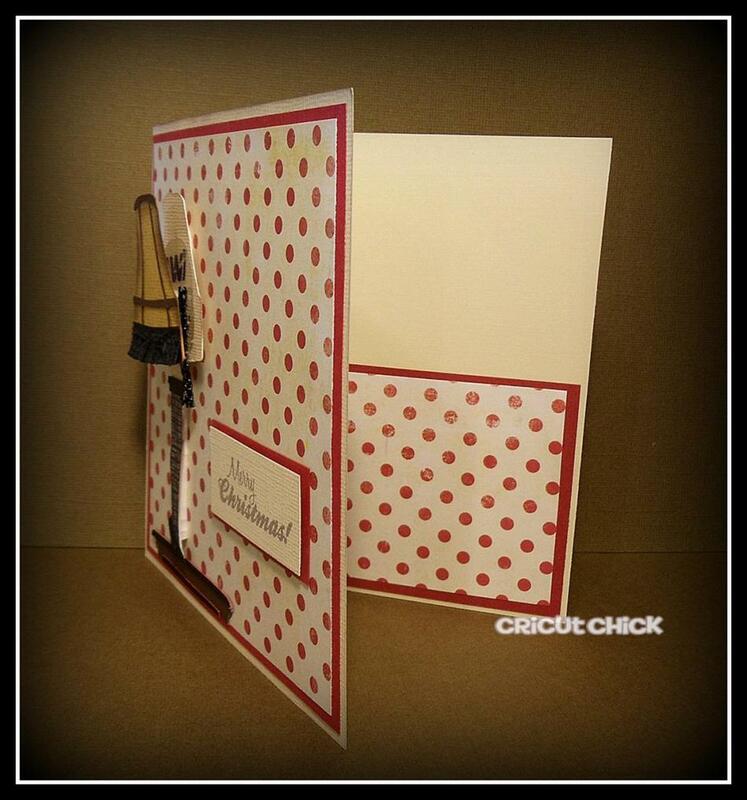 And I totally LOVE LOVE LOVE this card! That fringe is amazing! LOL! I didn't use my DSLR camera...I used my point and shoot and had to take the picture about 20 times before it caught it just right. I just set it on Easy...The DSLR whats to catch all the action shots and stop them so I can't use it for my wobble pics.. WOW!!! Awesome card!!! Love the papers you used. I'm thinking I would probably put a wobble on a Christmas card. Congrats to the winner. I am a follower of your blog and Action Wobble blog. oh my gosh, this is so cute! We watch this movie every Christmas Eve morning. I have a Cricut, so I don't think I can make it, but I love it! I follow you through my google reader, and I also follow Action Wobble! 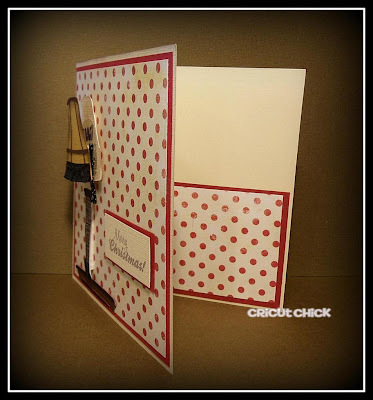 and now I'm heading over to scrappy moms, I love the stamp set you used! I follow you and action wobble on my google reader. I love this card --- we watch this movie every Christmas Eve. 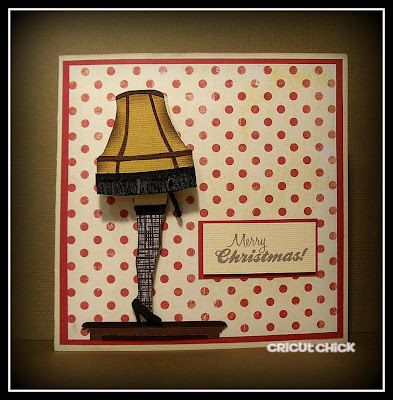 So cute and creative Julie, YOU ROCK...hmmm I mean your lamp...lol YOU GO GIRL! OMG!!!!!!!!!!!!!!!!!!!!!!!!!!!!!!!!!!!!!!!!!!!!!!!!!!!!!!!!!!! i LOVE this card.. this is my favorite movie it's even in the top 5 of my all time fave movies! thanks so much for sharing this is so awesome! I'm a follower here and over at the action wobble blog. if i won the first card i'd make would be a wobble santa of some sort :) thanks for the chance to win! I'm following the Action Wobble blog but didn't realize until now that you had this one, too. Now, I'm a follower here, also. If I win the Action Wobbles the first thing I want to wobble is a Teddy Bear Santa from Chricut's Teddy Bear Parade. Oh my goodness, I love this. One of my favorite Christmas movies ever!! 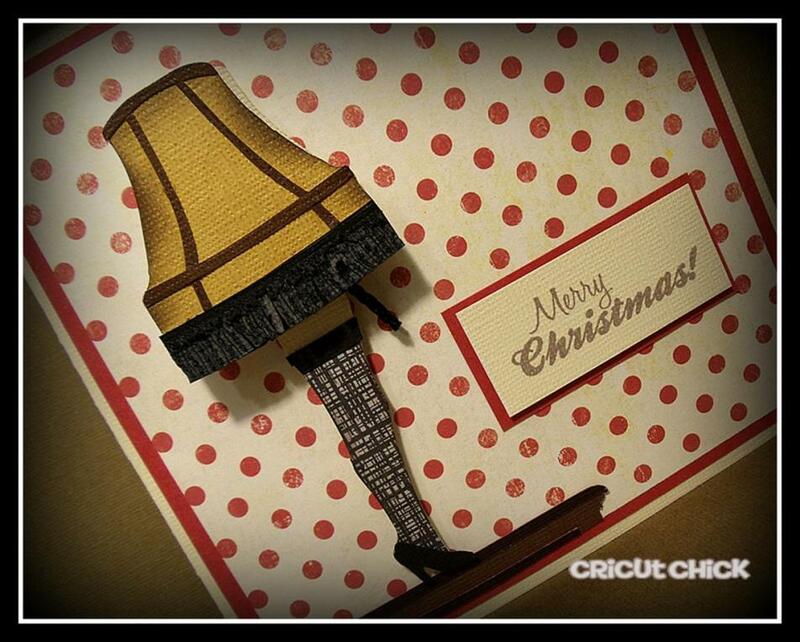 Very cute and fun Christmas card--love the fringe. Congrats to Susan. I am a follower of both blogs. I would wobble a bee first. 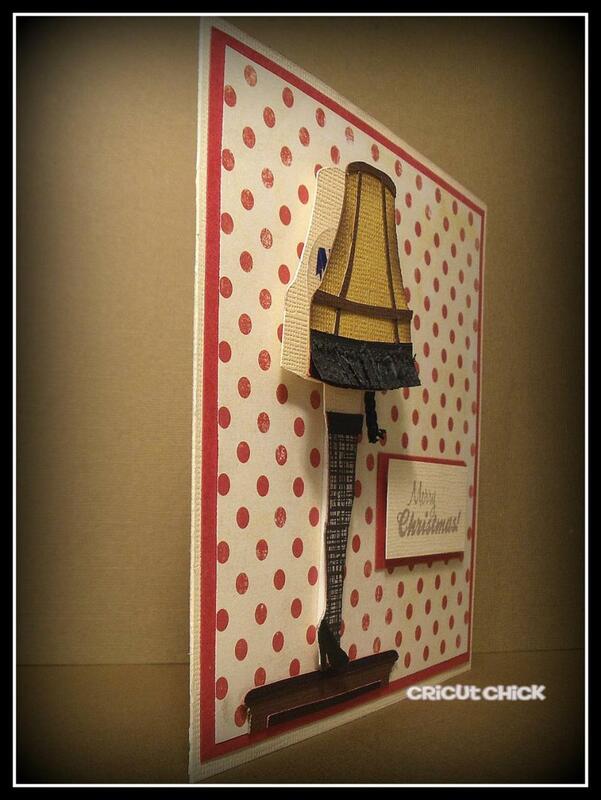 This leg lamp card is too cute, I love it, that is my Husband's favorite movie. too funny. my husband actually bought one of those lef lamps and puts it in our front window. lol. OMGosh this is so cool. Love that lamp especially the 3d part. Have a wonderful Thanksgiving. Great card - can you please tell me what cart you got the cuts from for the lampshade and the leg? Thanks so much - Happy Thanksgiving. Susan...It's not from a cartridge...Take a look at the video and you'll hear all about how I made this. It's right at the beginning after the announcement of the wobbles winner. this is sooo cute! love it! I just found your blog! Love it! I am now a follower here and your FB and Action Wobble site! I would copy this card for my first wobbler card! It wouldn't be Christmas without the Christmas Story movie! Hi Julie, I am already a follower. I would wobble a snowman. I absolutely love your card!